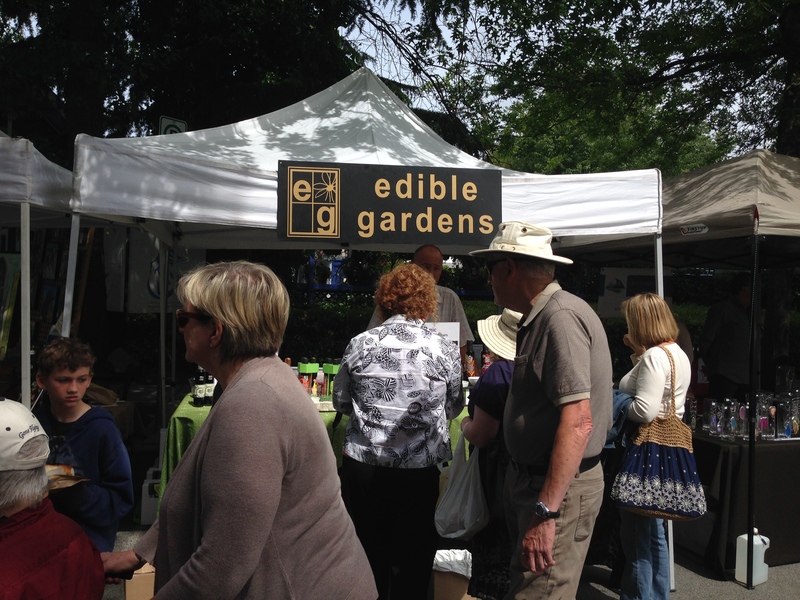 The passion behind edible gardens was planted on the west coast of BC in the early spring of 1995 . We were excitedly sowing our first crops on a large community garden plot nestled along a fertile river bank that wound down to the ocean. Using our blessings from that first garden I began creating in the kitchen along with my talented husband who is the true chef in the family. 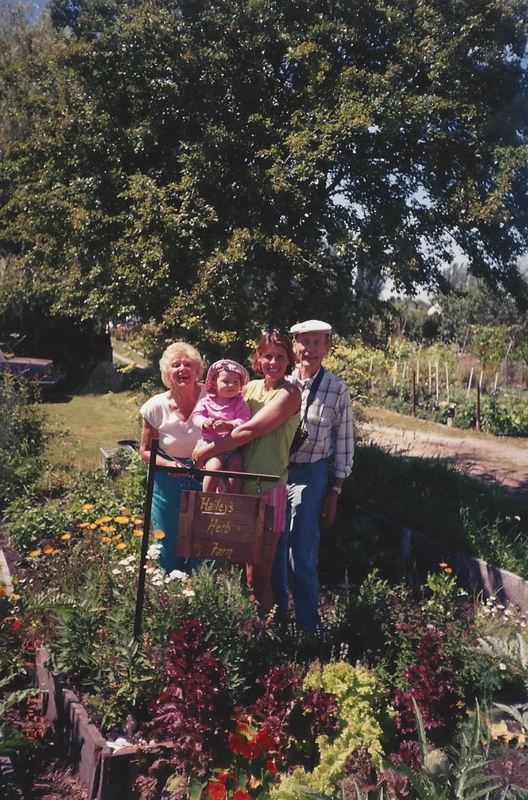 Here is a shot of me in that first garden with my late Dad and Mom, who were visiting that summer. My daughter was still very little as you can see. I had named the garden Hailey’s Herb Farm, and I was so pleased with that years results! Using our harvest of common and exotic herbs we married our favourite flavours into unique varieties of vinegars and artisan oils. That year to our delight, our fragrant Purple Basil oil and a savoury Blackberry Balsamic, fresh from the branches that grew prolifically around the garden, won blue ribbons at the Farm Fair. My garden neighbours began leaving orders for our two specialties, in this old red postal mailbox I had erected along the garden fence. Not knowing then, what journey we had begun, we took our winners to market quite literally two years later… with our daughter, sleeping soundly at our small stall at the local Farmer’s Market, the first one in White Rock. That was our Start……. THE FARMER’S MARKET IS A WONDROUS PLACE! A rich cornucopia of colours, smells, sounds and flavours and no matter where we travel we always love to find the local Farmers Market and better understand the makers- bakers and growers of the community.– a celebration of quality produce with a conscience. 21 YEARS AGO WE GOT OUR START AT THE FARMERS MARKET SELLING…but we have never forgotten our roots…..
Before long, our products were winning praise as the “local secret” of the weekly market. Soon orders were coming from as far away as Australia, as tourists, now home again, were craving our fresh distinctive balsamics and oils, true tributes to our native BC agriculture. Soon, the orders outgrew what we could grow, and we began sourcing top quality produce from farmers in the neighbouring Fraser Valley and beyond. 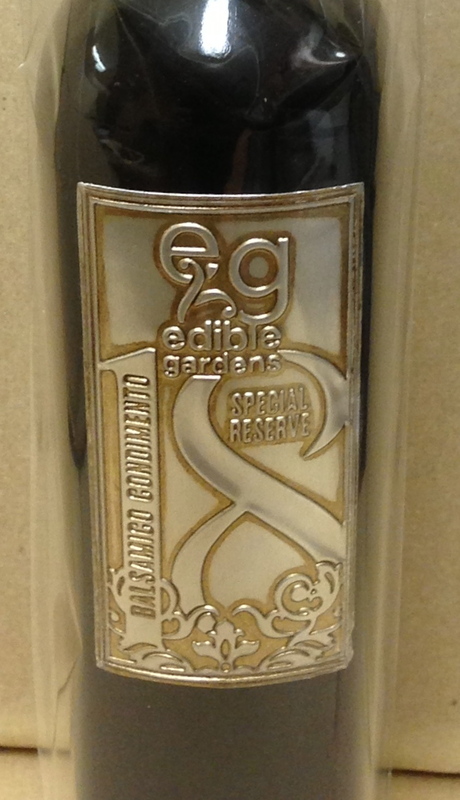 and the beautiful silver premium handcrafted label of our Barrel Aged Balsamic we have created a premium line that is delicious and a true pleasure to give and receive. It is our continued pleasure to bring this gift of good taste, to you! Its been a wonderful story to tell. Enjoy! Here in Erfurt I discovered carpenter, a wonderful business, sell your products. Happy birthday I got Date & Cherry Balsamic Spread your apple and fig chutney ginger given. Wonderful and in particular my guests loved the combination with (as recommended) warm Brie. And should I even come to Canada, I’ll visit you!